What a Race in Sepang!!! I'm at K.L.I.A., and the wi-fi is free! Unfortunately, I'm boarding in five minutes and I think I'll be staying at a residence in Phillip Island that isn't equipped with an internet connection. I'll see what I can scrounge up. What a race in Sepang! Unbelievable, and I thanked a couple riders for putting on an incredible display of passion and ability. If you haven't seen it, you'd better get to it. Less than a week until the Australian GP, and it's been absolutely incredible thus far in Kuala Lumpur and Bandar Baru Bangi. It was phenomenally hot and humid, and I was totally destroyed each night by the time I made it back to our hotel (about forty five minutes from the circuit). Hot showers, cold showers, nothing helped. 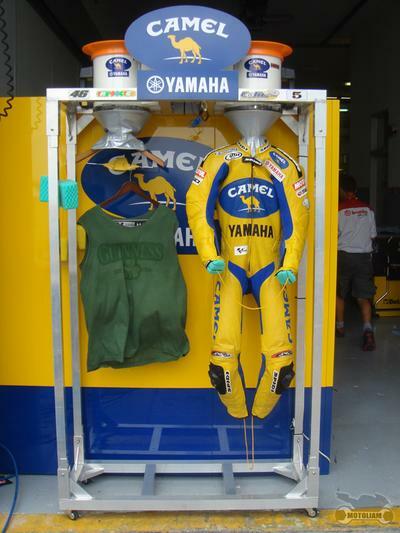 Maybe it was worse for the riders at times, and here's a nice, creative way of cooling Colin's sticky suit.